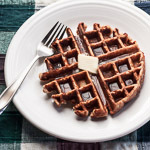 This is a special post for The Kids Cook Monday because today is the launch of their new website, which has recipes and tips for cooking with kids, including some instructional videos to help you get started in the kitchen. Getting the whole family involved in preparing meals and eating together not only fosters good communication, it also is a chance to learn a valuable life skill. We garden and cook with our children because we want them to learn where food comes from and how to eat healthy, and because we feel doing those things together is the best way to show that we believe food is important. For more information on how to start cooking with your whole family, visit The Kids Cook Monday website. Now for our latest Kids Cook recipe. Grits are a southern breakfast classic that you can make as simple or elaborate as you like, and they aren’t just for breakfast anymore. The Italian version of grits, aka polenta, accompanies many kinds of meals, so feel free to experiment with grits and use them as a bed for roasted vegetables and meats with braising juices spooned over it all, or use it as a casserole base. 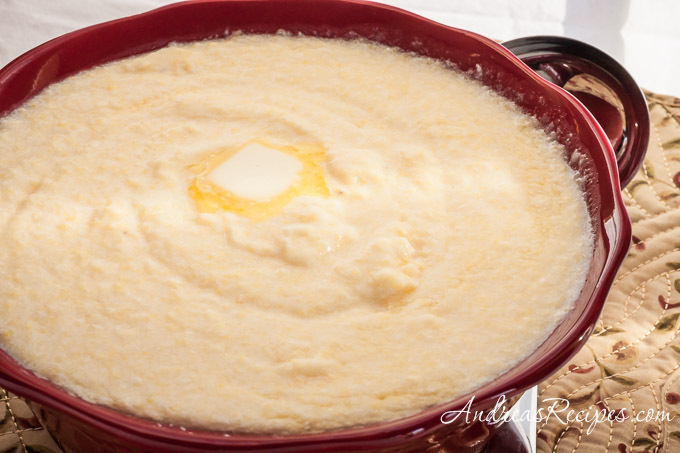 Grits come in several different types, such as hominy, stone ground, regular, quick, and instant, and the differences are based on how they are ground. Hominy are whole kernels of corn with the hull and germ removed. Stone ground grits are coarsely ground and require more water and time to prepare than their regular, quick, and instant counterparts. This particular recipe calls for stone ground grits, though you can use quick grits, just follow the instructions in the Variations below. 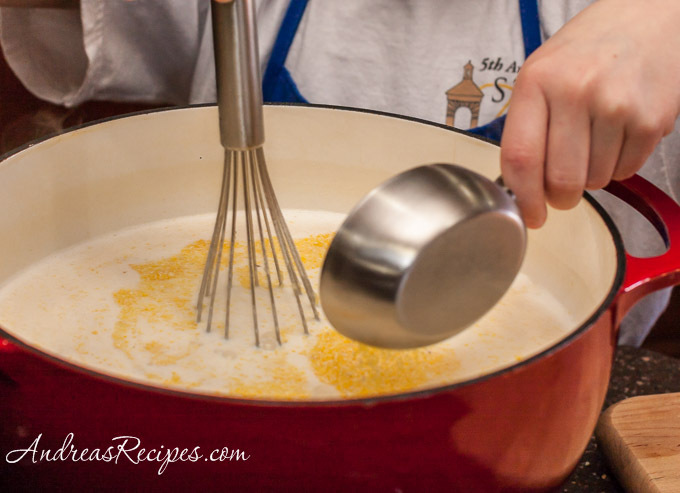 In our area we can find Bob’s Red Mill stone-ground grits, but I plan to pick up some Anson Mills grits the next time I’m in South Carolina because their story is inspiring and their grits are awesome. Check around for mills in your local area, you just might find a treasure trove. And now for the recipe, as demonstrated by Builder Guy, age 8. Boil the butter, milk, chicken broth, salt, hot sauce, and garlic. Grate the cheese and stir it in with a little more butter. 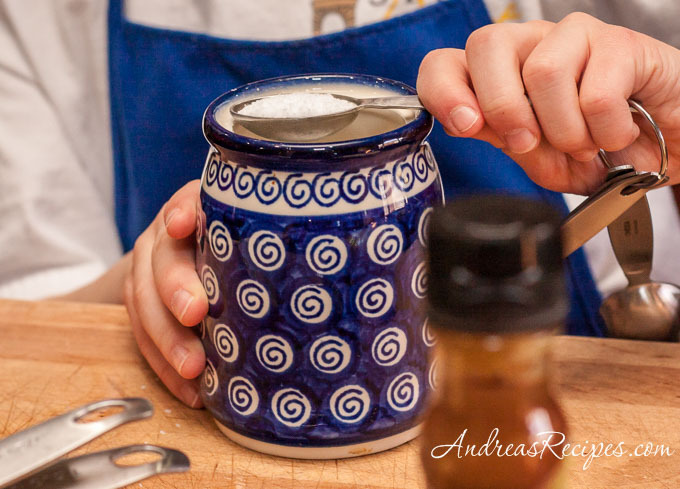 Demonstrate and assist with any tasks that might be new: grating, measuring, stirring, pouring. 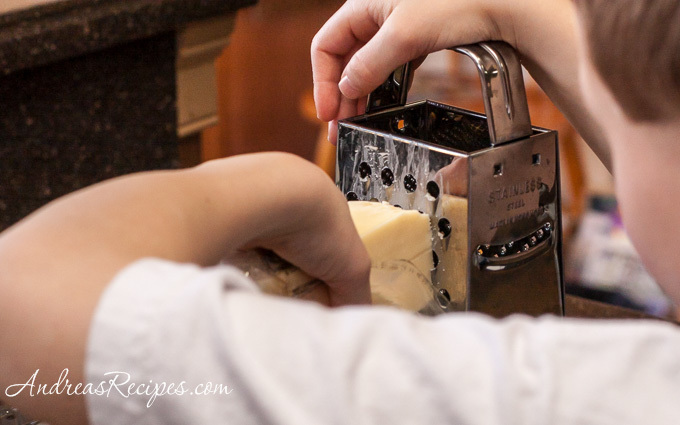 Assign the simpler tasks such as measuring ingredients or stirring in the cheese and butter at the end to the younger kids, and save the more challenging tasks for the older kids and adults. Young children should not work near a hot stove. Make sure an adult or older child or teenager does the stirring while the grits cook. 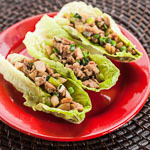 Adapted from Southern Living 1001 Ways to Cook Southern. Part of The Kids Cook Monday series. 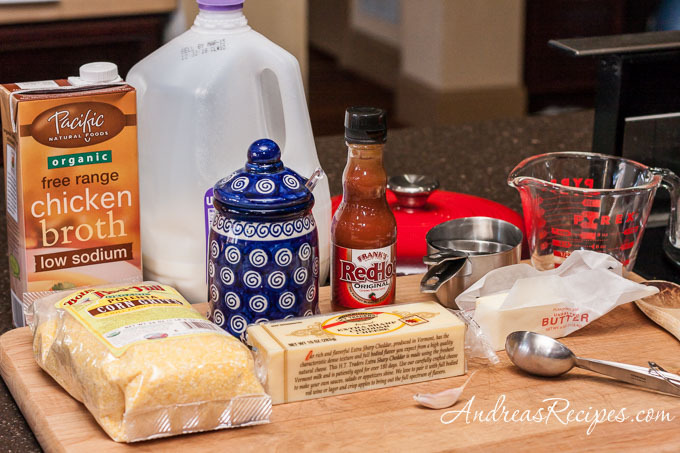 In the Dutch oven, melt 2 tablespoons of the butter and add the milk, chicken stock, salt, hot sauce, and garlic clove. Bring to a boil over medium-high heat. Slowly whisk in the grits, cover, and bring back to a boil. 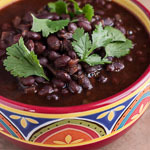 Uncover, reduce heat to medium-low, and simmer, stirring occasionally until thickened, up to 1-1/2 hours. Stir in the cheese then add the butter and swirl it through the grits. Serve immediately. Quick Grits: Use 2 cups quick grits instead of the stone-ground grits. Reduce milk and chicken broth to 4-1/2 cups each. Prepare as directed, cooking the grits for 10 to 15 minutes.